In compact crossovers, like the 2017 Nissan Rogue and Toyota RAV4, you can combine impressive passenger space and comfort with sporty power. Which of these models is right for your daily drive? Give our comparison guide a quick read to learn more. When it comes to long-haul comfort, the Rogue surpasses the competition with ease. Up front, you'll find Nissan's Zero Gravity front seats, which wrap you in their plush, supportive contours. Throughout the Rogue cabin, passengers enjoy a wealth of head and leg room, making any journey a pleasant one. Of course, you can add upscale extras like leather upholstery and heated front seats for an increasingly luxurious ride to work. 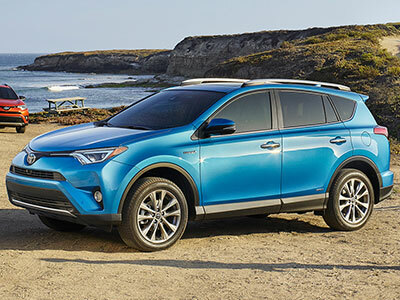 When it comes to passenger space, the Toyota RAV4 is competitive, giving you and your loved ones plenty of room to spread out during long journeys. The seats aren't as refined as what you'll find in the Rogue, but they're comfortable enough for your daily commute. We like the Rogue's Nissan Connect infotainment system, which includes a number of smartphone integration features to keep you connected from the road. Siri Eyes Free technology, for example, lets you use your iPhone's voice controls via the central infotainment system. You can even ask it to read your texts aloud, so there's no need to look away from traffic. Toyota's Entune infotainment system offers basic smartphone integration features, including music streaming and hands-free calling capabilities. Like the Rogue, the RAV4 offers an optional navigation system to guide you around traffic jams and through unfamiliar streets. The Toyota RAV4 is our pick for passenger protection. In government crash tests, it earned a perfect five-star rating for overall protection. This year, it also introduces a number of high-tech driver aids - such as forward collision mitigation - to help you avoid a dangerous situation. The 2017 Nissan Rogue isn't far behind, however. Like the RAV4, if offers optional all-wheel drive, improving traction on wet or wintery roads. In addition to helping you retain your footing in bad weather, the Rogue offers an emergency telematics system that offers help when you need it most. Features like on-demand roadside assistance and automatic collision notification are always on your side. In government crash tests, the Rogue earned four stars for overall protection, which is still pretty impressive. With so much low-end torque on tap, the Rogue moves off the line with impressive speed. If you've got a lot of stoplights on your way to work, you'll appreciate how fast the Rogue gets you up to speed. You'll also appreciate the fuel-saving continuously variable transmission (CVT), which helps the Rouge earn up to 26 city/33 highway mpg. On the road, the Toyota RAV4 is sporty, with responsive handling to get you around turns with confidence. The RAV4, however, doesn't give you quite as much mileage, earning up to 23/30 mpg with its thriftiest transmission. 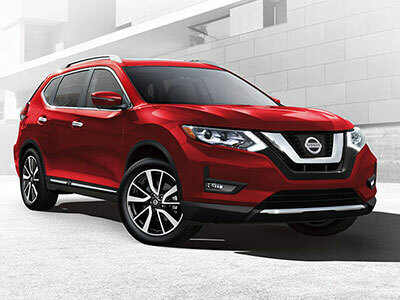 Both of these small crossovers have a lot to offer for families and commuters alike, but the 2017 Nissan Rogue is our overall favorite. Its best-in-class front seats supply the kind of endless comfort you'd expect from an expensive luxury SUV - but you get them at an excellent price.